9. Do I have to also hire a lawyer? 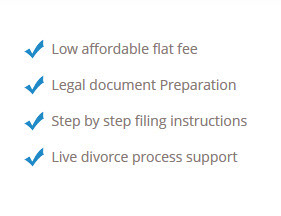 You will be acting as your own (pro per) and filing for your own divorce. Should you need or desire legal advice or should your divorce become contested, we do suggest you hire the services of a lawyer. We are not Attorneys and cannot give you legal advice.